A. W. Cycles is an independent bike shop in Merton, South London. 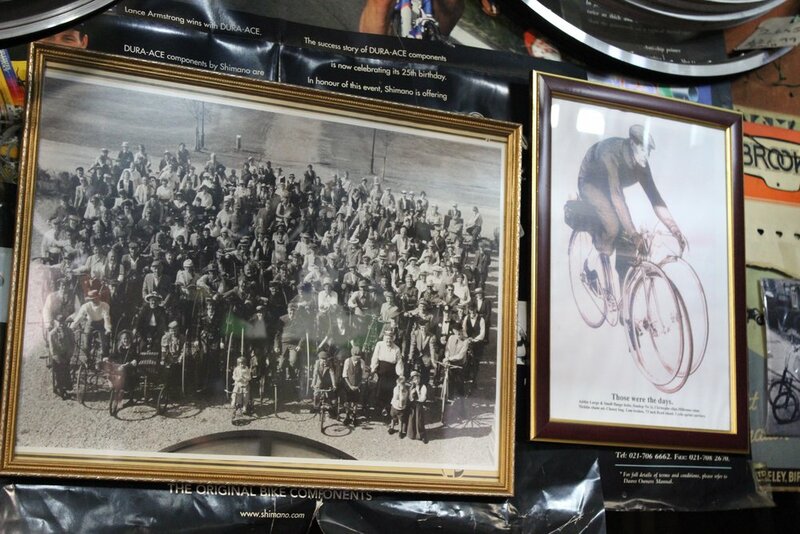 Situated on Merton High Street for over 100 years, A. W. Cycles has stood the test of time and continues to serve locals by selling bikes, accessories and offering repair services. The space inside is small and crowded, with a century's worth of memorabilia and bike parts lining the walls and ceiling. The smell of rubber is thick in the air and the many old stickers, photos and posters display the history and influence this shop as enjoyed since the early 1900s. The current owner, Richard, is friendly and helpful in equal measure. His lifelong experience of working with bikes is evident and his passion for bikes is unquestionable. Be sure to prompt him for an anecdote or two while dropping your bike off for repair or when buying necessary accessories!